Just Jingle: Cupcakes and Christmas! I have two fun cards to share with you today! Let's start with some cupcakes. Why? Well, I can't really see why you WOULDN'T want to start your day with cupcakes, quite frankly. Well, I suppose if ice cream was available, starting the day with that would be a bit nicer. At least for me. Soooo....now that you all want sweets for breakfast, I think I shall continue! HA! This one is made using the brand new inspiration challenge over at Skipping Stones Design! 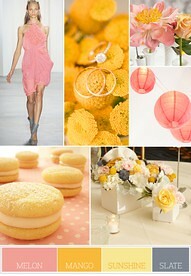 It's such a fun inspiration! The colors are just fantastic! And...it had sweets in it. Macarons, to be specific, but I don't have an SSD macaron stamp, so I went with CUPCAKES!!!! I used the wonderfully adorable Cupcake Cutie. You should totally play along! It will help cure that sweet tooth I kindly gave you this morning! HA! Just say'n. And...as for the Christmas portion of today's post... I have a new card up over on The Alley Way blog! This fun little holiday card uses the Fa-la-la set. I love those silly ornaments! For reals. Speaking of The Alley Way...we have some BRAND NEW STAMPS to show you next week!!! It's going to be fun!!!! So, my dear friends, that is all for today! Cupcakes and Christmas! Sounds pretty fun to me! YAY! Have a spectacular Tuesday! Just say'n. love these!! I think this is the set I got From SSD!!!! Love it!! oh i love cupcakes!! too cute! This is fabulous! wonderful take on those pictures! LOVE your card! Cupcakes and Christmas ... win win!!! Hahaha I could do cupcakes anytime- I love cake- not so much frosting though..... And I love the cute ornaments with the faces- darling cards. Super cute, Jennifer! Cupcakes...they're what's for breakfast. LOL! 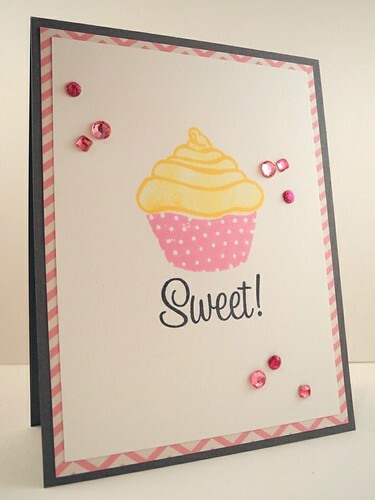 LOVE the cupcake and ornaments--CUTE cards!